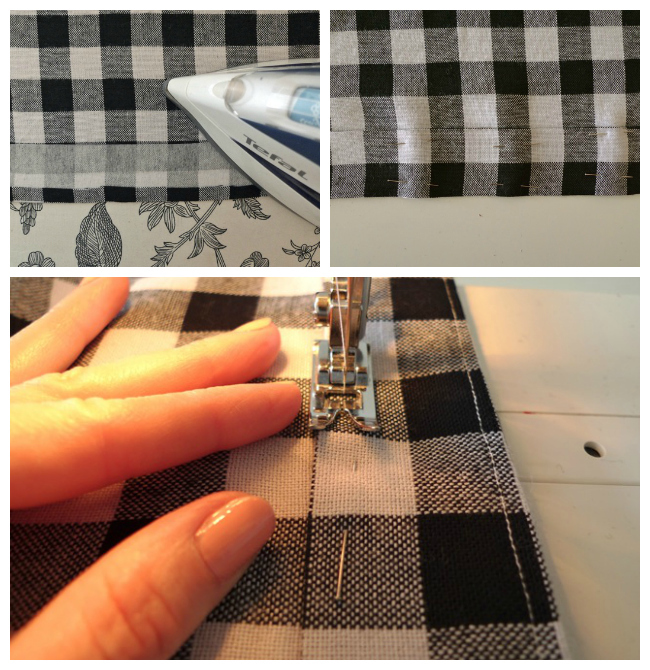 If you’ve followed Part 1 of How to Make a Picnic Blanket Skirt, you should now have your pieces of fabric cut out (with interfacing attached) and ready to sew together to make your own button-down gathered skirt like this one. Ready to sew? Let’s go! - On the centre front edges of the front pieces of the skirt, fold the seam allowances back (wrong sides together). Press. - Fold back another 1 ¾” to form the placket, press and pin in place. - Top stitch down both sides close to the edges of the placket. - Do the same with the other placket. - Finish the side seams of the skirt on the back piece and two front pieces. Finish the edges of all four pocket pieces. 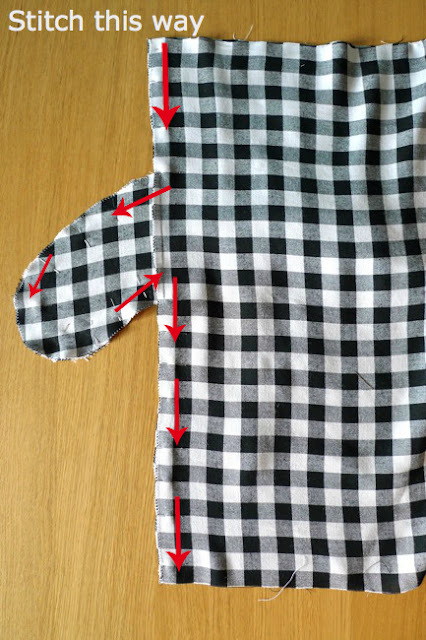 - Work out how far down the side seams of the skirt you want the pockets to go. You could look at where they are on an existing skirt or guess based on where you think your hands will sit. As a guide, placing the top of the pocket pieces a couple of inches down the side seams should be about right, but work out what's right for you based on where your waist (and thus the skirt waistband) sits. Mark this point on each of the four skirt side seams. - Pin each pocket piece to one of the skirt side seams, right sides together, aligning the flat edge of the pocket to the side seam. Before you stitch, double check that the pocket placement matches up by laying the front pieces of the skirt on top of the back piece. 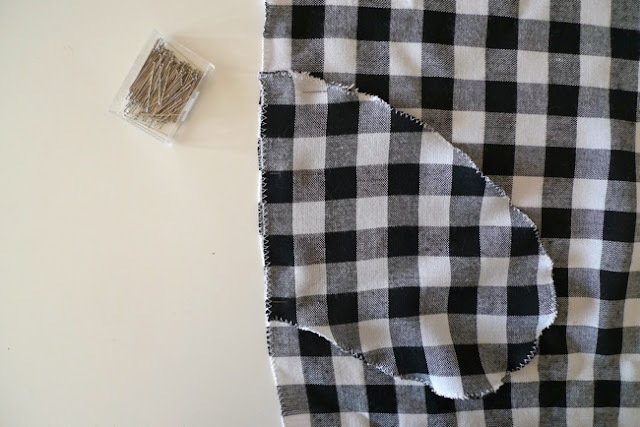 Once you’re happy, stitch the flat edge of the pockets to the side seams of the skirt with a slightly smaller seam allowance than your regular one (3/8” if you’re using ½” SA). 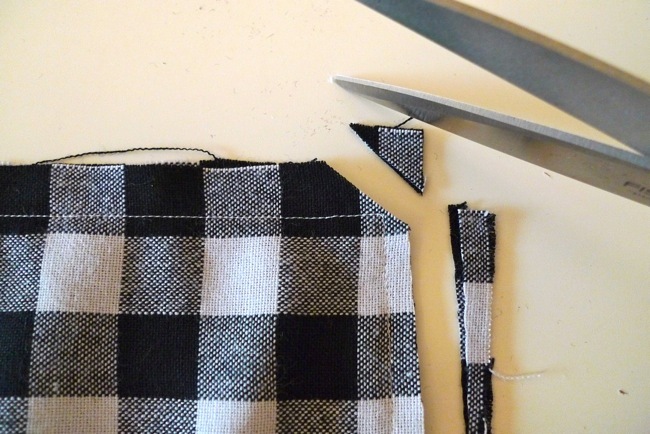 - Fold the pocket away from the skirt so it’s sticking out the side and press along the seam. - Place the right side of the skirt front piece onto the right side of the back piece, aligning the side seams and pockets (which should still be sticking out the side). Pin in place. - Now stitch it all together. 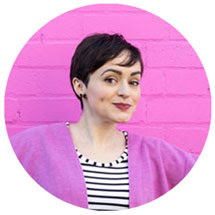 Starting from the top of the skirt side seam, sew down the side seam until you’re ½” past the top of the pocket, then around the pocket edge and back out ½” onto the skirt, then down the rest of the side seam to the bottom. Do the same on the other side of the skirt. - Tilly Tip: Reinforce the corners of the pocket/side seam stitching with a few extra stitches, as this is one of those areas that likes to form holes. - Press the pockets and seams towards the front. - Needless to say (but I'll say it anyway), this is the key part of the garment that is going to be fitted to your body, so before stitching it's a good idea to double check that the piece you cut out is the right size. Test it out round your waist, taking into account the fact that at this stage each piece will be 3 3/4" bigger than your waist to accommodate button stand, seam allowances and 1" ease. - Pin both pieces of the waistband together, right sides together. Stitch along three sides, leaving one of the long sides (the bottom edge) open. - Snip the corners, being careful not to cut through the stitching. Trim the seam allowances down to half the width. - Turn the waistband right sides out, and use something like a soft pencil (nothing too sharp!) to make the corners nice and pointy. Press. 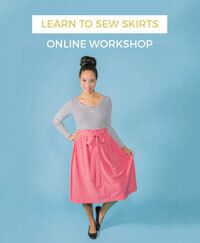 Next up: Part 3 - Gathering, attaching skirt to waistband, hemming, buttonholes - and then you're done!